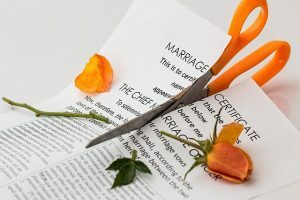 Keeping control in divorce is vital according to Cheshire divorce solicitors Stonehewer Moss who liken the choice a separated person faces in order to resolve the issues to a gardener dealing with a pest. Today the radio news had an item about the use of natural balances when your bush is infested by a flying pest instead of reaching for toxic chemicals that will harm other things as well as the pest. At Stonehewer Moss our experienced family solicitor likes to garden and this year he observed first hand the battle in nature between aphids on his beans and ladybird activity that controlled the problem. It was a marvel to watch. Men often reach for the bug gun and have a sometimes misplaced faith in the science of chemicals. If faced with the harm of separation a person might be tempted to reach for the most toxic means to fight the problem when in fact nature can take the strain in some instances. Being true to your own principles might sound a bit touchy feely to you, but using aggressive means to resolve a family issue makes little logical sense. The science of separation is essentially one of coming to terms with change; it is a grieving process. Getting angry and using a proxy solicitor to vent your anger will be expensive and often counter productive. Take time to assess the harm and use proportionate means to resolve the issues; take advice from a Resolution member solicitor about the options available to explore the best way forward for your family. A path of systemic destruction just leaves you with a lonely bush; let the natural way in and you may be surprised by the positive outcomes it may reveal to you in what know seems a nuisance of epic proportions. Aphids are inconsequential things but they are food for predators that can look beautiful in isolation but also a touch unpleasant in numbers. Keep control of your life when you separate; that predator you choose may be no better than a manufactured chemical if it feeds on all you have. Time is vital to a balanced settlement; early settlements are often clouded by emotions every bit as toxic as a chemical on your favourite flowers. How harmful might letting those emotions go be to the welfare of your children? They need the other parent even if you presently see him or her as an evil pest. Keeping control in divorce often means letting go when the time is right. This article was added on Tuesday, August 22nd, 2017 at 12:49 pm and is categorised under Cheshire divorce solicitor, Child arrangements, collaborative law, Divorce, Family finances, Hartford divorce, Macclesfield News, northwich solicitors, Warrington News, Winsford News. Both comments and pings are currently closed. Error: Error validating access token: Session has expired on Saturday, 09-Mar-19 13:12:58 PST. The current time is Wednesday, 24-Apr-19 19:58:49 PDT.